Are you searching for text version of Nanrendra modi and Barack Obama's Mann Ki Baat programme? Here we providing you text version, transcript of Narendra modi and Obama's Mann ki baat programme which was telecast on 27th January, 2015 (1800 IST). On 27th January, 2015 Narendra Modi and Barack Obama has addressed India via Mann Ki baat programme (radio programme) where both leaders had answered questions of Indians which Narendra modi has invited through his Mygov Portal. As people loved it a lot, here is for the people who missed it the programme. Text Version of Modi-Obama radio interaction (Mann Ki Baat). Click here to read the text version of Mann Ki Baat programme of Narendra Modi and Barack Obama. Official website of Narendra Modi has shared the complete text version of Mann ki baat, you can read over there. 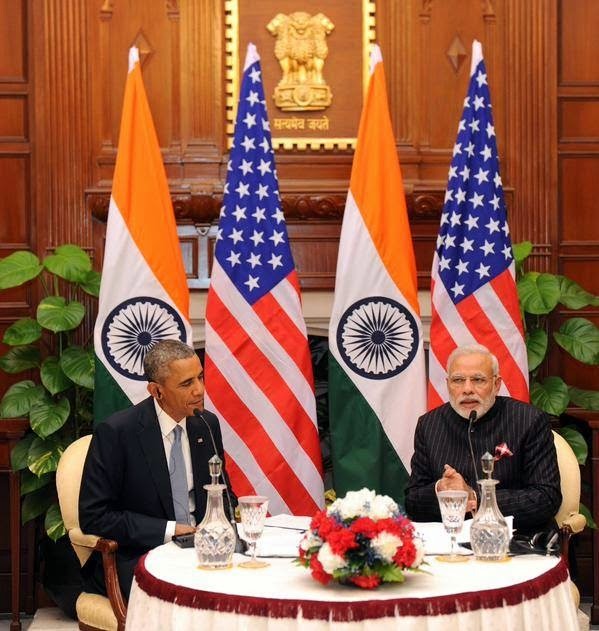 here is where PM Shri Narendra Modi and US President Shri Barack Obama share their thoughts on Radio. It was known that US president Barack Obama visited india as he was invited for 66th Republic Day celebration in india. Barack Obama, along with his wife Michelle Obama visited india, in between Modi and Obama has done this Mann Ki Baat programme.